Diana Tavernier trained as a professional dancer at Accademia Nazionale di Danza di Roma, taking part, during her training years, in the choreographies of “Don Quixote” and “Swan Lake” by Maestro Z. Prebil. Following her VIII year diploma at AND, she also attended the “Corso di Perfezionamento per Giovani Danzatori Aterballetto” and took part in the productions of the dance company managed by A. Amodio. As a performer, she was a guest of AND during their Swedish tour and of Aterballetto during their Spanish tour. She was also amongst the performers of the 1995 opera ballet “Riccardo III” by G. Iancu for the Fabula Saltica dance company. Besides her career as a performer, she also began teaching in 1994 thus getting gradually more important positions within the academic context of Centro Permanente Danza “Let’s Dance” in Reggio Emilia. She also participated, as a choreographer, together with the school students, in many cultural city manifestations, by working with F.N.A.S.D. in the Aterballetto choreographic projects. She then further trained and graduated from Teatro La Scala’s “Corso per insegnanti di danza classico-accademica” and from AND with a second-level diploma in “Biennio Specialistico per l’insegnamento delle discipline coreutiche (danza classica)”. 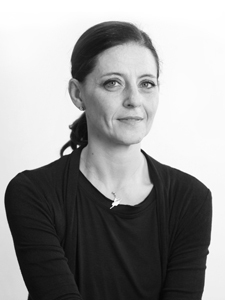 In 1999 she was the ballet teacher for “Corso di perfezionamento Aterballetto” under the supervision of M. Bigonzetti as well as cooperating with the Aterballetto dancer A. Cannistrà for the educational meetings in Reggio Emilia’s schools. Since 2013 she has been working as a classical dance teacher at the School of Balletto di Roma managed by Paola Jorio.